England start their Quilter Autumn Internationals against the 'Spring Bok' and frankly I am not holding much hope for a win. Call me a pessimist but I am not inspired at all by England at the moment. I hope they prove me wrong on Saturday but I doubt it! England once again set off into the unknown with a new look side, yes I can understand the reasoning but by now I would have thought Eddie would have had a settled squad in mind. Yes we have injuries, yes people have retired but I am not confident at all with our thinking or set up. Being honest I think England peaked three years ago just after the last Rugby World Cup. 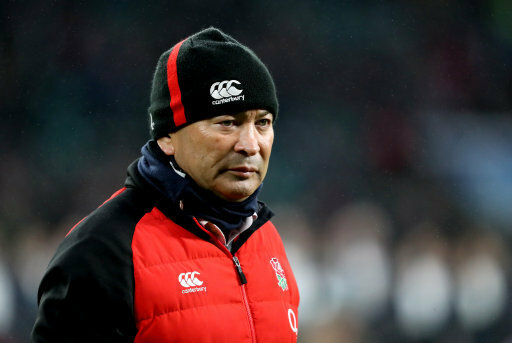 All Eddie had to do was come in and motivate and give confidence to the players and off they went. Shame the previous management squad could not have done that. Now we have a situation three and bit years on, with uncertainty and I am not sure Eddie is inspiring the players anymore. Oh well time will tell! I hope I am very wrong. Breaking>>>2/11/18>>>>Sale wing Chris Ashton has been brought back into the England squad for Saturday's Test against South Africa following an injury to Manu Tuilagi. Sale wing Chris Ashton has been brought back into the England squad for Saturday's Test against South Africa following an injury to Manu Tuilagi. England vs South Africa often is physically boring; the only interest is the closeness of the score.